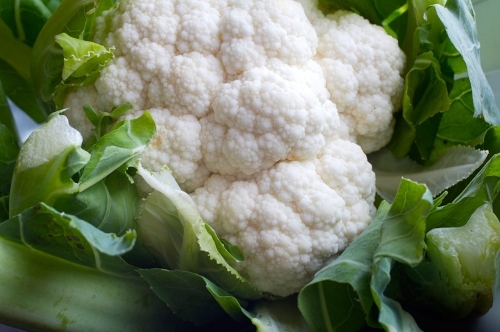 The sweet almost nutty flavor of cauliflower has always been one of my favorite vegetables. It provides many nutrients and is full of vitamin C. It has no fat, low in sodium and no saturated fat or cholesterol. So what I do is add all the stuff that’s not good for me like butter, oil or cheese. This vegetable can be made many ways. I love it lightly breaded and deep fried or baked with parmesan cheese. But by far this is my favorite recipe. It works great as a side dish to be served with pork, chicken or beef. If you don't want to eat it by itself just add it to some pasta. Clean and cut the vegetable into small pieces. Steam the vegetable until tender and set aside. In a large frying pan sauté the onions and garlic in butter until soft being careful not to burn. Add and toast the breadcrumbs until lightly brown. Stir in the vegetable and toss to coat with the breadcrumb mixture. Stir in heavy whipping cream.